F&N Welcomes the Prosperous Year of the Pig with Classics, Healthier and Delicious Drinks Festive Packs! You are at:Home»DINING»F&N Welcomes the Prosperous Year of the Pig with Classics, Healthier and Delicious Drinks Festive Packs! 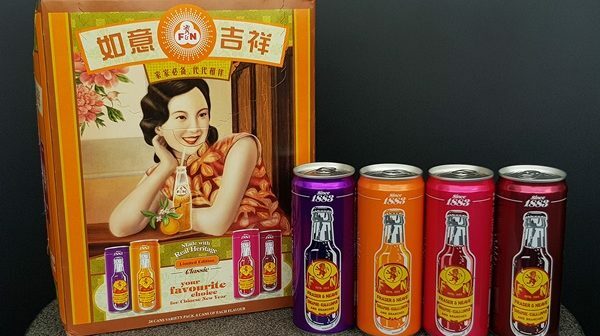 In celebration of the coming Year of the Pig, family-favourite brand, F&N has come up with a line-up of beautifully designed four festive packs this year in auspicious red and gold colours to represent good fortune and joy that will include both classics and new healthier choice drinks. Our favourite isotonic drink will be dressed in gold colour and comes with auspicious words like “Prosperity” (福) and “Happiness” (喜) and with picture of lion dance. This is a healthy herbal bend consisting of Pu Erh Tea and dried Chrysanthemum Flowers. No sugar added, no added ingredients and preservative and is genetically modified organisms (GMO) free. This is the first in market Healthier Choice certified Zero Sugar Variety Pack to complement your festive needs with Zero Sugar and Zero Calories drinks. 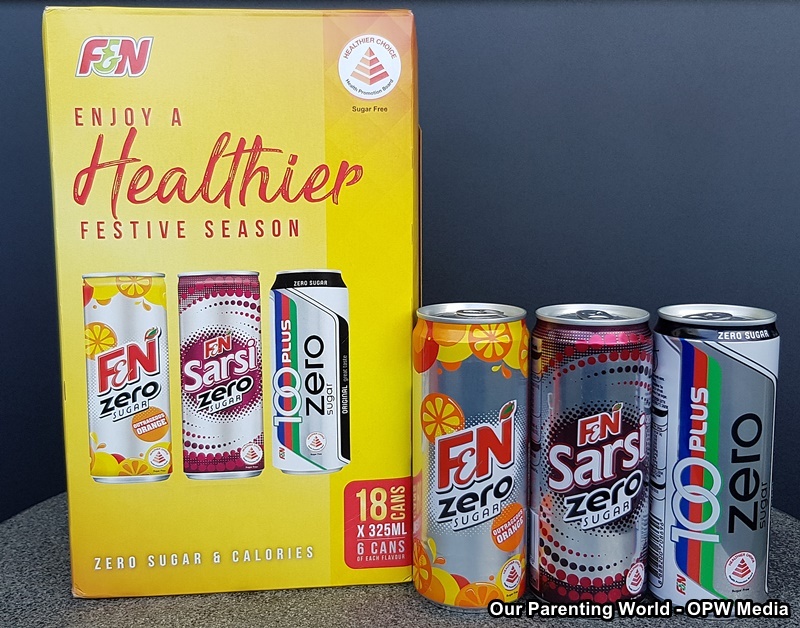 The pack contains 6 cans of each soft drink: F&N Orange Zero Sugar, F&N Sarsi Zero Sugar, and 100PLUS Zero Sugar. 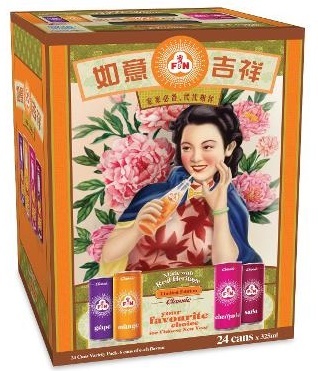 The sparkling Drinks Festive Pack set will set you in the mood for the auspicious year ahead and the drinks are put into a beautiful box decorated with tradition artwork of a vintage poster featuring a beautiful maiden enjoying a classic F&N Orange with the traditional greetings “ 如意吉祥” which represents good fortune and good luck to all! 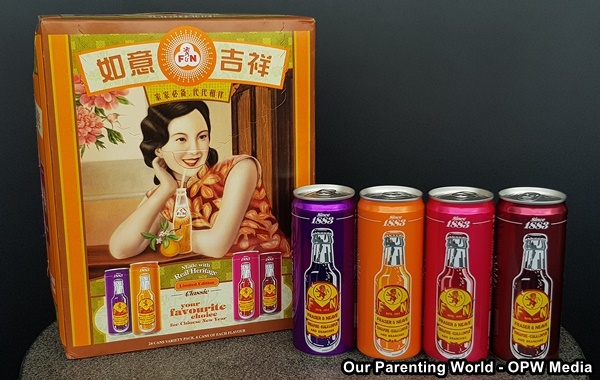 The limited edition F&N Sparkling Drinks Festive Pack is available in 24 cans of assorted flavours consisting of Grape, Orange, Cherryade and Sarsi at a recommended selling price (RSP) of S$13.45. 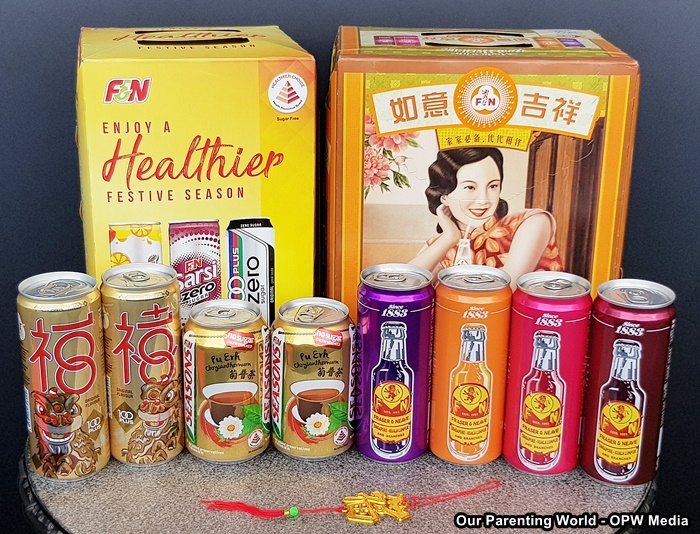 This Chinese New year, look forward to enjoy F&N limited edition 100PLUS gold cans, the new Season Pu Erh Chrysanthemum, F&N Variety Pack and the F&N Healthier Choice Variety Pack. With such a wide variety of drinks available, family, friends and loved ones can enjoy your favourite drinks during the Chinese New Year gatherings and reunion dinners. F&N Healthier Choice Variety Pack includes 18 cans of 3 assorted flavours at RSP of S$10.55. Sunkist Variety Pack in 12 cans of assorted flavours at RSP of S$8.90. 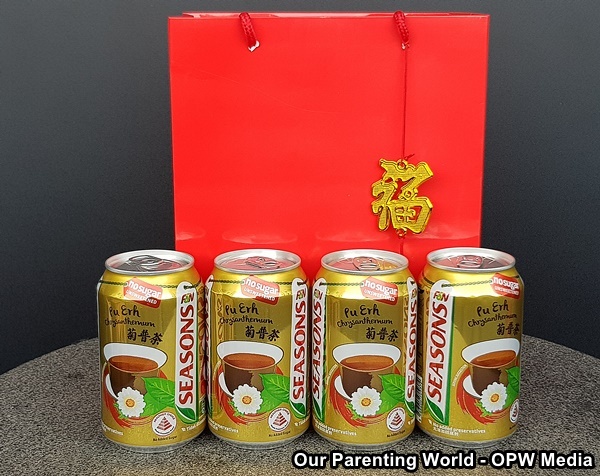 100PLUS Singapore Festive Pack with “迎福接禧” greeting along with specially designed cans in the auspicious colour of gold to bring good fortune and happiness! This is available in 24 cans at RSP S$14.70. SEASONS Chrysanthemum No Sugar in 6 tetra packs at RSP of S$2.40. The newly launched F&N SEASONS Pu Erh Chrysanthemum Tea, a perfect blend of authentic Chinese Pu Erh and Chrysanthemum also known as Guk Po (菊普). The drink is sugar free with no added preservatives and colouring. It drink is light and has a honey flora hint. This is the perfect drink to enjoy after snacking on festive treats. Available in 12 cans at RSP of S$7.65. 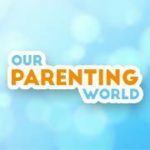 Thank you F&N for sending us this fabulous media drop!